Don cherished family above all else, and was a beloved husband, father and grandfather. He met his future wife, Maureen (Moe) Belisle Malcolm, after months at sea, crab fishing. He found her in his bed and decided to keep her. Their daughter Melissa was born “early” six months later. They decided to have a boy a couple years later, and ended up with another daughter, Megan. He taught his girls how to hold their liquor, filet a fish and change a tire. He took pride in his daughters, but his greatest joy in life was the birth of his grandson Marley, a child to whom he could impart all of his wisdom that his daughters ignored. After spending his formative years in Kirkland, Wash. with a fishing pole in hand, Don decided his life’s calling was to yell at deckhands on commercial fishing boats in Alaska. As a strapping young man of 19, he moved to Dutch Harbor to fulfill this dream. 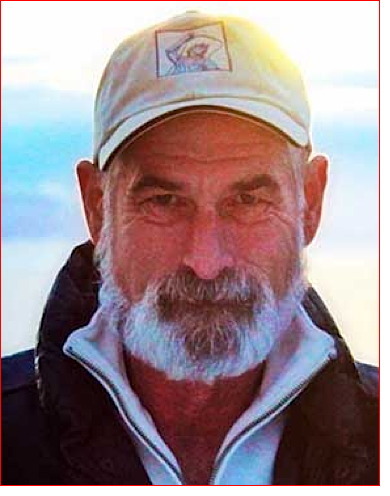 Over the next 40 years, Don was a boat cook, mechanic, deckhand, captain and boat owner. Although Don worked nearly every fishery in the Pacific Northwest at one time or another, his main hunting ground was the Bering Sea. He cut his teeth crabbing; kept his family fed by longlining halibut and black cod; then retired as a salmon gillnetter in Southeast Alaska. Don had a life-time love affair with Patsy Cline, Rainier beer, iceberg lettuce salads and the History Channel (which allowed him to call his wife and daughters everyday in order to relay the latest WWII facts he learned). He excelled at attempting home improvement projects, outsmarting rabbits, annoying the women in his life and reading every book he could get his hands on. He thought everyone could, and should, live on a strict diet of salmon, canned peas and rice pilaf, and took extreme pride in the fact that he had a freezer stocked full of wild game and seafood. His life goal was to beat his wife at Scrabble, and although he never succeeded, his dream lives on in the family he left behind. He also has many nieces, nephews, aunts and cousins who love him dearly, and deckhands who knew him. He will be having an extended family reunion with his mother, Winifred Thorton; foster parents Marvel and Dutch Roth, brothers Larry and Steve Malcolm, sister Doodie Cake, and other assorted family and friends who died too young. He seems to have had a good life. Perhaps short. But well lived. Good fishing! It seems apparent he was loved, and tolerated, and left a legacy of folks gifted with humor. ...and may Light Perpetual shine upon him! I wonder how many of the folks told Don all those good things while he was yet alive? I suspect he wrote it himself. That seems to happen a lot in the saner parts of the Pacific Northwest. "This is a perfect tribute to Don, I’m so proud of my girls for writing this. Don always kidded me as being the perfect mother-in-law, he rarely had to see me as I will only go to Alaska in the summer when he was out fishing. He always sent me a big box of king crab or halibut for Christmas. He will forever be in our thoughts."